These Plastic Poster Sleeves are Affordable in Comparison to Acrylic! These Frames are Made for 16"x20" Signs! These Plastic Poster Sleeves are Available in Additional Sizes! 16" x 20" dimensions for attractive advertisements. Made from clear flexible plastic for affordability. Unit comes with the adhesive tape for easy wall mounting. 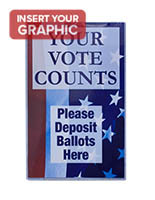 Slide-in design for quick signage changes. 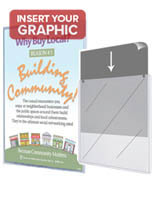 These plastic poster sleeves are made for displaying ads and information on a wall or in a window. Due to the tape, each unit securely sticks to the wall, and will not fall off. This print frame protects the signage from being torn or creased. 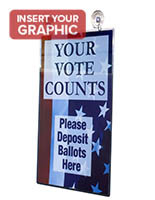 These plastic poster sleeves, also known as sign holders, have a flexible plastic construction for a low price point. This art frame is very versatile. 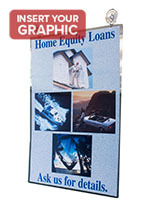 These print displays are plastic poster sleeves that mount either vertically or horizontally to increase the range of display options. This art holder can exhibit a landscape orientation picture only when mounted on the wall using the double-sided tape. 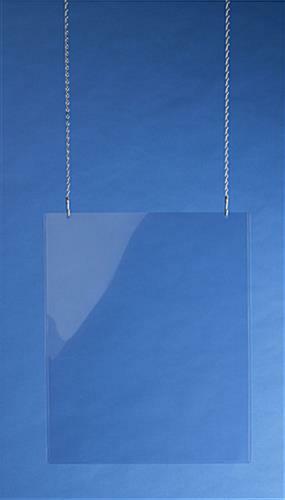 These plastic poster sleeves have 2 holes to be used with suction cups or the ceiling hanging kits. The ceiling hanging kits and the suction cups are both sold separately. 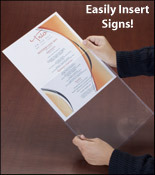 These plastic poster sleeves can showcase 2 posters at one time when mounted using the holes. These print holders are easy to mount onto the wall with the adhesive tape. 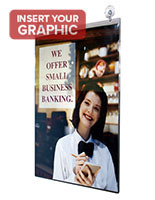 These art displays are plastic poster sleeves that are for business use, for signs and advertisements. 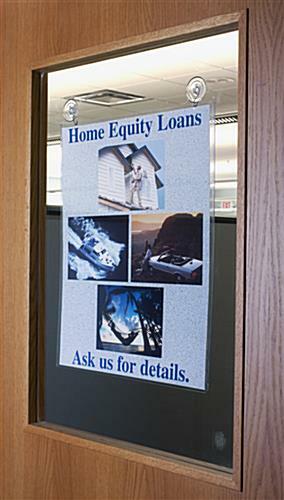 This frame can be used in a restaurant for menus, a financial institution for rate promotions, or in a store on the wall advertising for a sale. 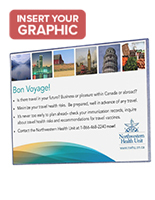 These print holders are plastic poster sleeves that are easy to update, images simply slide in. 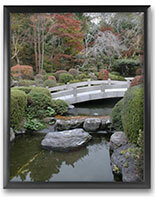 This art cover loads on the top for a portrait format or side for a landscape orientation. 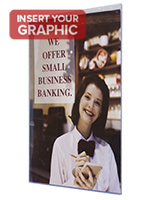 These plastic poster sleeves are flexible unlike rigid acrylic. These holders for a print will look nice on the wall of any business. This art cover is clear so the focus is on the graphics and not the frame. 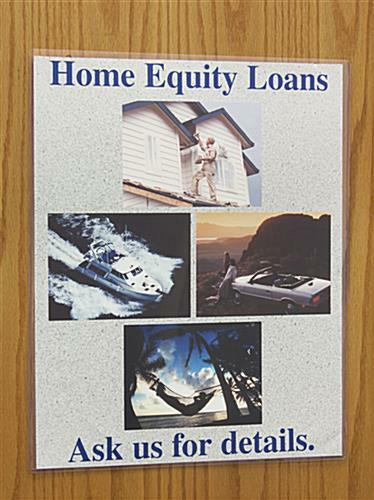 These sign covers are inexpensive when compared to acrylic. 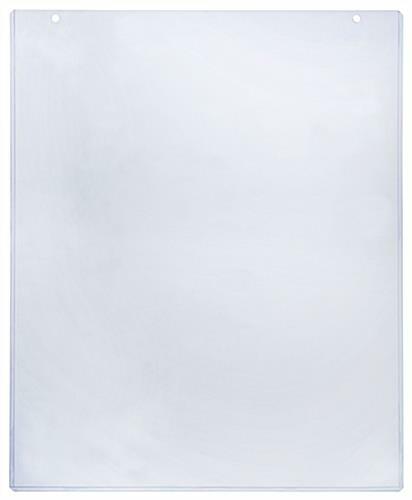 Order this wall display today from this trusted online superstore. Please Note: Although these units will stick to windows, they are not designed for double-sided use. The tape will be shown on the other side of the glass.